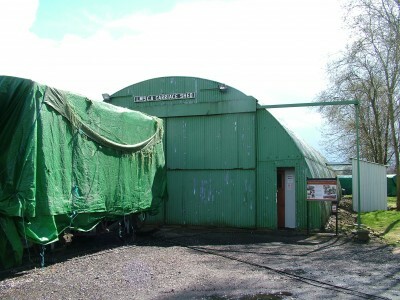 The LMSCA Carriage Shed at Rowsley will be open for visitors to see our restoration work during the visit of steam locomotive 70013 Oliver Cromwell to Peak Rail on Sunday 27th May 2012. Please be aware that car parking facilities at Darley Dale and Rowsley South will be subject to a small parking charge for this event. Update: Peak Rail have advertised there will be an admission charge of £2 to either Matlock Platform 2, Darley Dale Station and Rowsley South Station and Site, which will be redeemable off the price of an all day rover ticket.